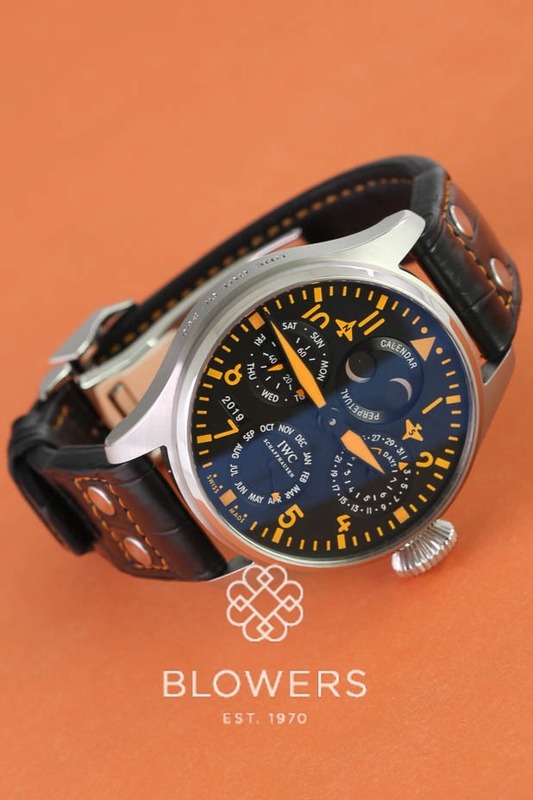 IWC The Big Pilot’s Watch Perpetual Calendar, Limited Edition of 250. Ref: IW502618. 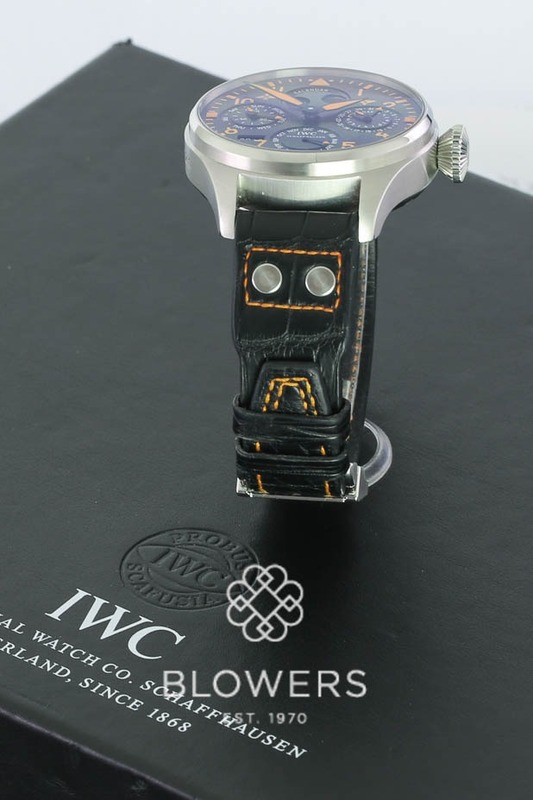 Automatic IWC in-house caliber Pellaton 51614 with 62 jewels, 21,600 vph and a power reserve of seven days. 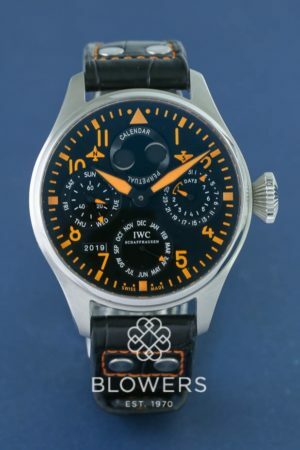 Steel case diameter 46.mm. 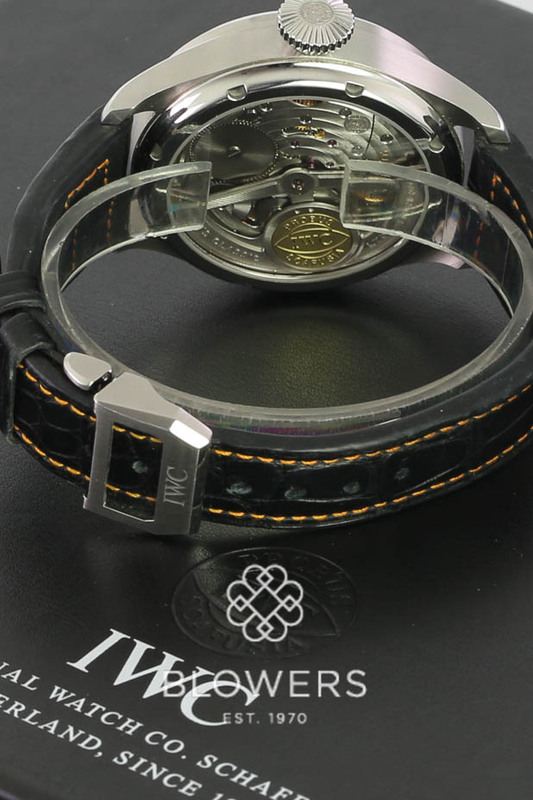 Glucydur®* beryllium alloy balance with high-precision adjustment cam on balance arms, Power reserve of 7-Days (168 hours) hours. 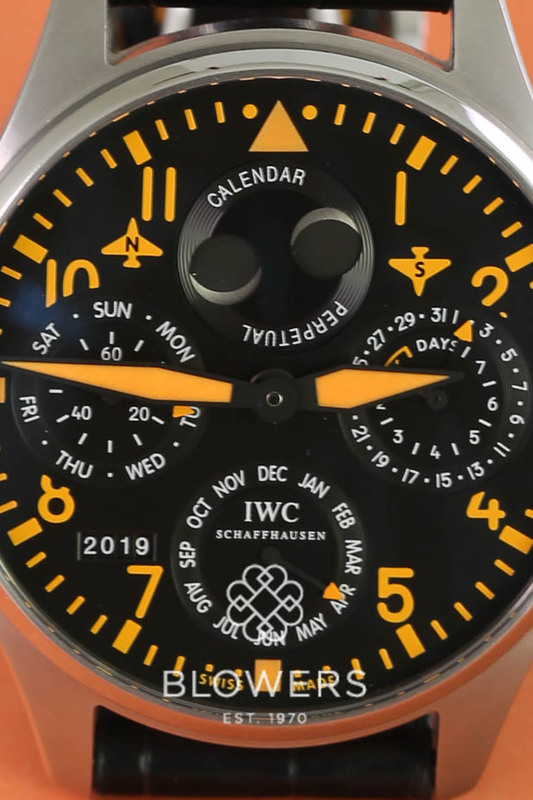 Black dial with Orange Arabic Numeral hour markers. 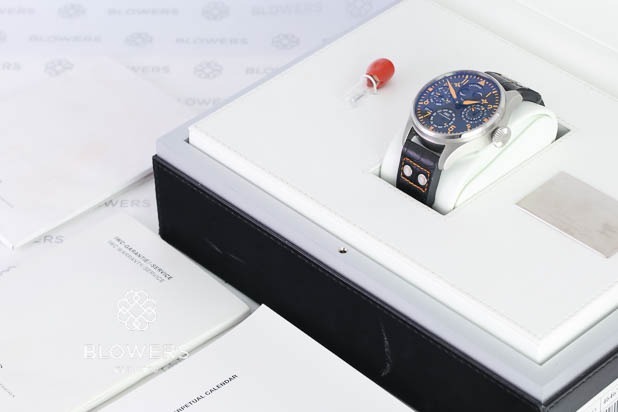 Small hacking seconds, power reserve display, date display, display for day, month, year, and moonphase sequence, rotor with an 18-carat “Probus Scafusia” gold medallion. See-through sapphire-glass back. 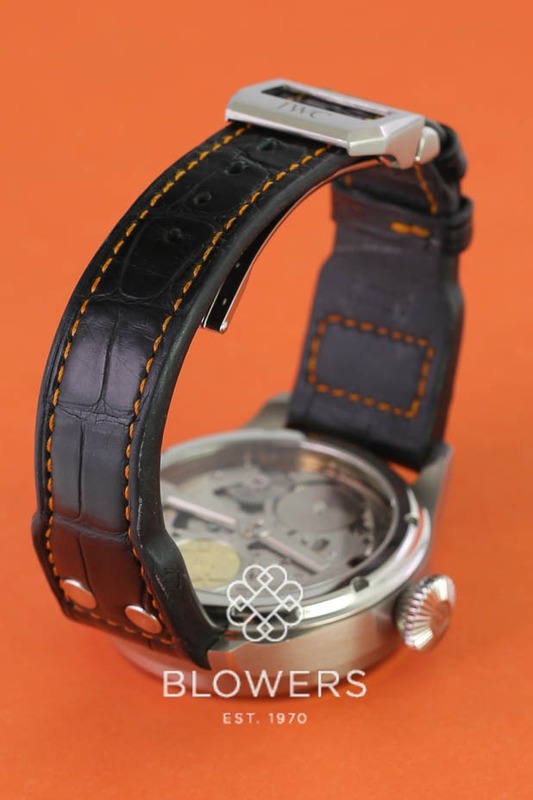 Black croc leather strap with orange stitchingand steel folding clasp. Box and papers dated November 2011. Our reference S21093. SKU: 3023318. Categories: IWC, Pilots.